She's a caring & creative artist that always puts her sweet skills to use. Rosita wears her heart on her sleeve and follows it wherever it wants to take her. She is the heart of the group, when someone is down, she is there to pick them up. But sometimes her schemes, though with the best intentions at heart, often go awry. Rosita also has quite an artistic flair and is always putting her talent to good use; from painting, designing clothes, to her speciality- baking sweet treats. 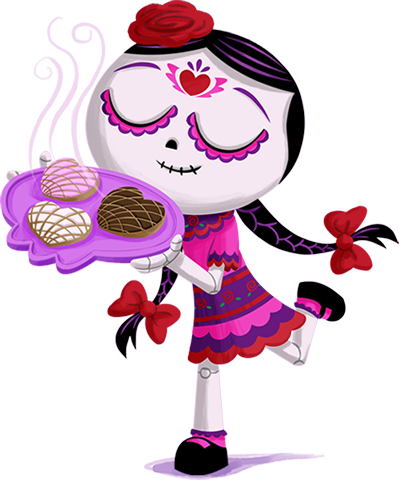 She loves all her artistic endeavors, but her friends love tasting her latest baked goodies and everyone agrees that her Pan de Muerto is the best in Muertown. 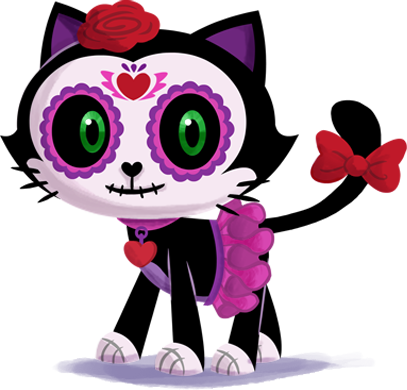 Rosita has a cat named Cora (short for corazon, the Spanish word for heart). Cora and Rosita found each other one day while they were both lost. Being an alley cat before exhausting all 9 of her lives, Cora has always been independent and cantankerous. Being cared for by Rosita has been a big change for Cora and there are some growing pains in this relationship, but Cora has come to love her new friend. Rosita dotes on Cora and loves having her try her latest recipe (which Cora is more than happy to oblige) or have her try on the latest costume she made for her (this she obliges less). Putting nature first is second nature. Lupita has made it her mission to help nature bloom in their world and believes that making a spiritual connection with nature is the key. She often experiments with ancient Aztec spells and meditation to help her connect with nature, but she also experiments with more traditional means like removing litter from flower beds. Of course, what good is a flower bed with no flowers? 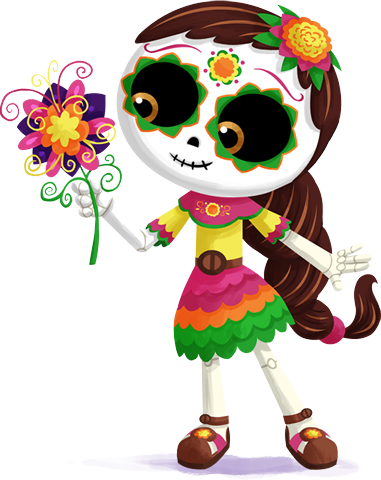 Lupita creates beautiful paper flowers and plants them everywhere she goes, making Muertown more beautiful one flower at a time. 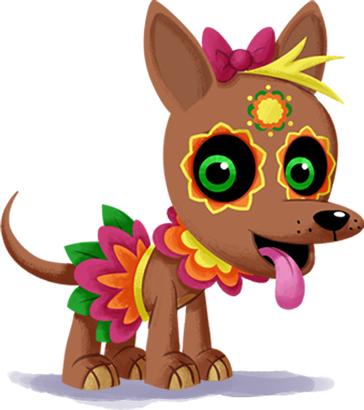 Lupita has to Xolo puppy named Marigold or "Goldie" for short, that was given to her by an Aztec girl to help Lupita never lose her way while exploring nature. 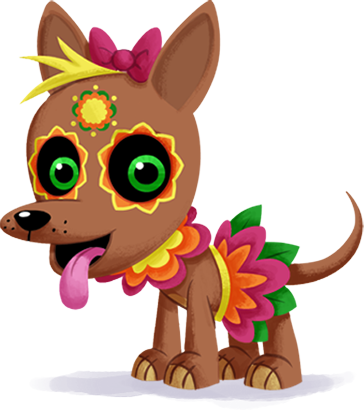 The ancient Aztecs believed that Xolo dogs would lead spirits through the afterlife, but since Lupita is already right where she needs to be, Marigold is happy digging up Lupita's flower beds and chasing Rosita's cat. Since Xolo dogs are mostly hairless, Lupita helps Marigold stay warm by giving her a coat of paper flower pedals, making her look as much a four legged flower as a dog. Bringing her unique sound to Muertown. 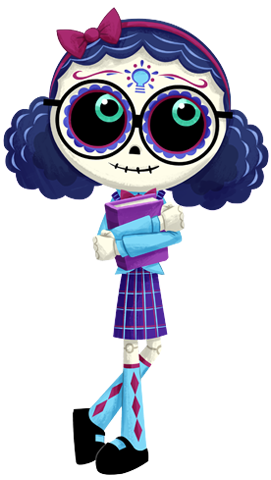 Bibi is the new girl and plans to rock Muertown. 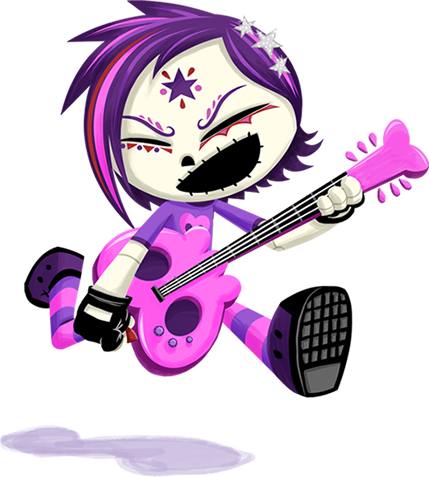 She is the guitarist and lead singer of the Mariachi-Rock band "Pozole". She's tough as nails and never has a problem speaking of mind her mind. Despite her spiky (literally) exterior she always keeps her friends close and will do all she can to protect their feelings. So if you mess with her or her friends, you better look out! 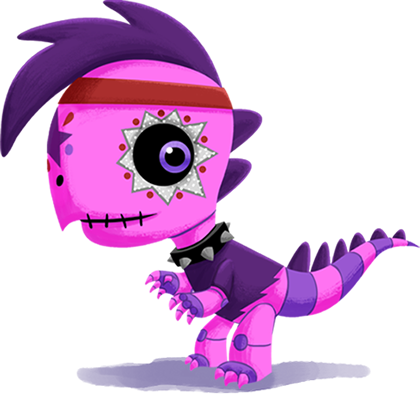 Bibi has a pet muertosaur named Coco (Spanish word for coconut and slang for head) that wandered in to the Muertoons' treehouse one day. Coco was Bibi’s number one fan from the very first moment he met her, but Bibi had to get past her secret fear of reptiles. After Tio Rico tried to claim him so that he could turn him into a pair of boots, she rescued Coco and they’ve been rocking out ever since. Her small size doesn't get in her way of trying her hardest. That red blur that just invaded your personal space is Rubi, an energetic ball of non-stop activity. She loves to compete and despite being small for her age, she will take on even the biggest competitors, especially her big brother, Danny. 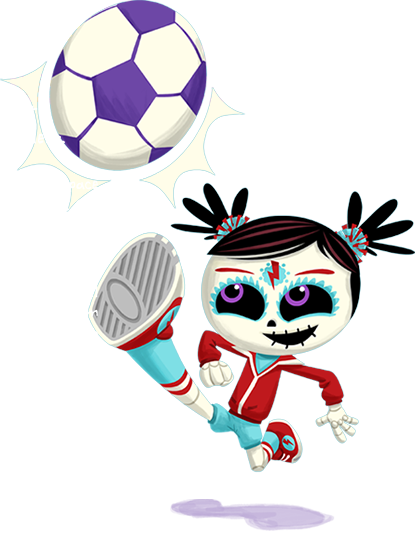 Her favorite sports are soccer and softball, but she loves all sports & even made it on the boy's football team just to show that she could. Recently she took up extreme sports after Danny dared her to jump his skateboard off a perilous ramp no one else would. Her competitiveness makes her a natural at sports but she can turn anything into a competition. Even though she tries too hard to be the best at everthing she does, all that really matters is that she is already the best at being a friend. Rubi has a pet tortoise named Tortuga (the Spanish word for tortoise), or "Torta" for short. 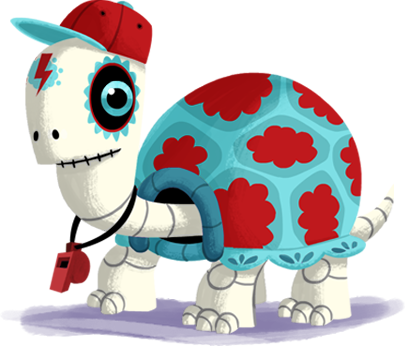 Tortuga was the mascot for the rival team, the Death Valley Tortugas, but they abandoned him after losing to Rubi and her team, not liking that they they were represented by such a slow creature. Rubi love to play games with Tortuga but because he is so slow, a simple game of fetch can take days. Despite this, he has good qualities; such as storing sports equipments on his shell, making a nice seat for Rubi to glide on, he's even round enough to substitute as a ball, but his best quality is being a loyal friend. Viewing the world in her own way. Though the world might see Gabi as "different", it's because she sees the world differently than everyone else. She looks at the world through the filter of her vast imagination and processed through her keen intellect. Gabi is often found with her nose in a book because to her, books are portals into other worlds. Her keen imagination combined with her knack for engineering makes Gabi quite an inventor. Though because she is so imaginative, most of her inventions don't always work how one would expect. Despite her quirks, her friends love her for her adventurous spirit and ability to incite a new way of looking at everyday ordinary experiences. 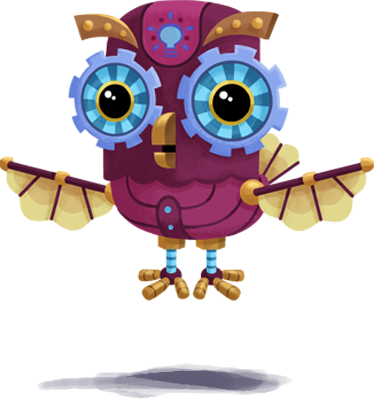 Gabi has a pet clockwork owl that she made named Techolote (combining the word tech with tecolote, a Spanish word for owl), or "Techy" for short. Before she met Rosita and her other friends, Gabi	was very lonely and had a hard time making friends because she is so different. So one day she decided to make a friend of her own out of wood, gears, and paper from her books. It is powered by all the love that she kept stored up in her lonely heart. Since Techolote was made by Gabi, they share a very similar personality, but he also suffers from the occasional glitch. 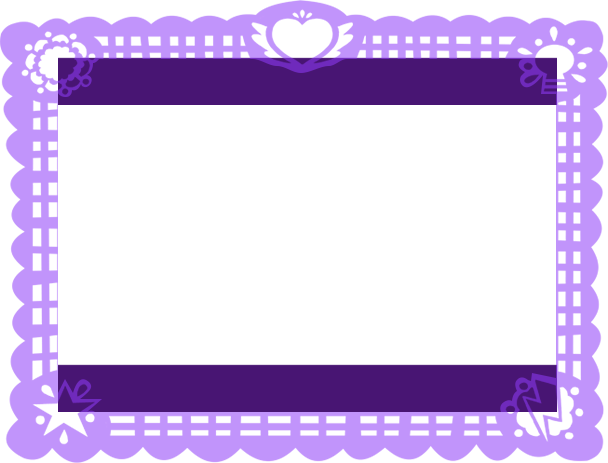 has worked as a designer at Warner Bros., Cartoon Network, Nickelodeon, Fox and Oddbot Inc. He has worked on such shows as MAD, Foster´s Home for Imaginary Friends, Class of 3000, EI Tigre and Playhouse Disney´s Tasty Time With ZeFronk. 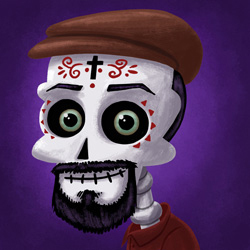 Eric G. is the creator of the Muertoons books Rosita Y Conchita and Paquito y Abuelito, as well as the story illustrator and provided the Spanish text. has worked at Oddbot Inc. on the Playhouse Disney show, Tasty Time with ZeFronk, music videos for Phineas and Ferb, The Doc Files, Club Penguin and various other animated properties. 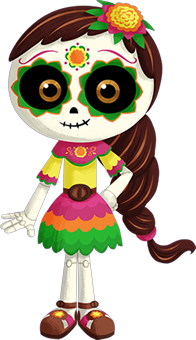 At Muertoons, Erich H. contributed the English text for the children´s books Rosita Y Conchita and Paquito y Abuelito, as well as some additional artwork. WV Enterprises (WVE) is a film and television production company established by entertainer, Wilmer Valderrama. The company is responsible for a wide variety of programming ranging from animation and scripted series´ to alternative programming, with dozens of new projects in development. 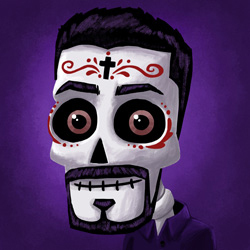 WVE teamed up with Eric and Erich to expand and further develop the brand and ultimately the entire world of Muertoons! 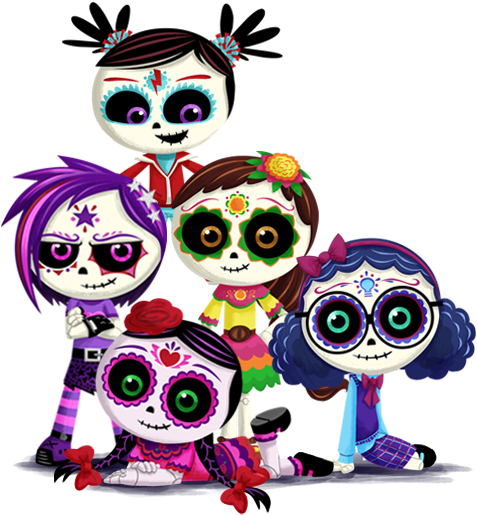 Muertoons is an exciting new production company that was founded by animation artist, Eric Gonzalez in 2010. 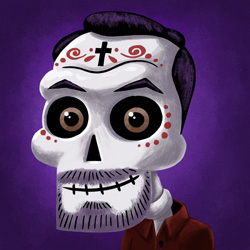 Eric teamed up with his college buddy Erich Haeger to write and launch Muertoons´ first book, Rosita Y Conchita, an illustrated book that tells the touching story of two sisters trying to reach out to each other between the world of the living and the dead on the holiday of Dia De Los Muertos (Day of the Dead). Their latest book, Paquito y Abuelito, was released in 2013 and tells the story of Paquito who is visited by his deceased Abuelito who, through the traditions of Dia de los Muertos, teaches Paquito about his rich heritage The world of Muertoons is now expanding with new characters and stories based on the eclectic Mexican holiday full of culture, humor and heart. What you´ll need to get started: 8-10 sheets of brightly colored tissue paper per flower, Scissors, twist ties, pipe cleaners, ribbon and/or wire. 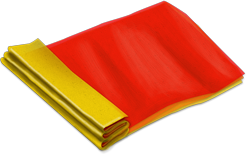 Your folds should be about 1/2 inch to an inch wide, but honestly this is a very forgiving craft so don´t stress if it´s not perfect. 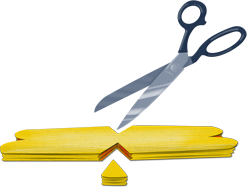 Next you´re going to trim the ends. 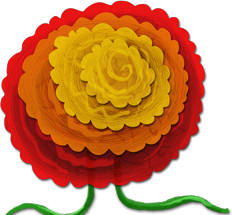 This will determine how the “petals“ of your flower look. 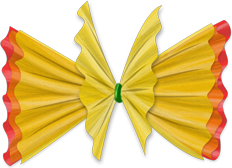 You can just trim the corners off to make rounded petals or you can try pinking shears or scalloped scissors for a more ruffle-y effect. 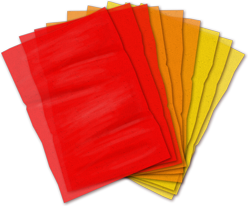 Now you want to fold your long strip of tissue paper in half to find the middle.Then unfold and snip a little notch in each side right at the fold. 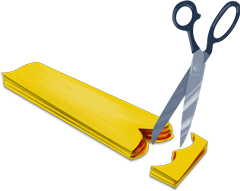 Be careful not to cut all the way through your paper strip or you´ll be making two small flowers instead of one big one!. Use a twist tie, ribbon, a pipe cleaner, or apiece of wire to wrap around the center of your tissue paper at the notches. Bunch it together and twist tightly. 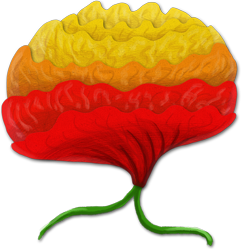 This will be the stem of your flower or what you will use to attach your flower to something else (i.e. 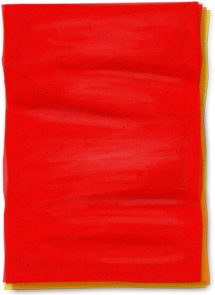 a dalrod for large flowers or pencil for small flowers). Now carefully unfold the tissue paper one layer at a time separating and shaping as you go to create petals. Be careful that you don´t get in a hurry to see your pretty flower or you may tear the tissue paper. To give your flower a little more rounded shape on top you can squeeze the bottom together a little. 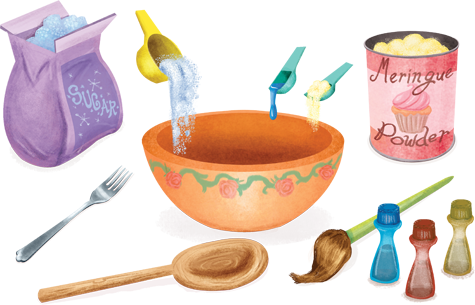 After washing & drying your hands; Mix the Sugar, Meringue Powder & Water using your hands and form it into an egg shape. With the end of a wooden spoon or with your finger tip, poke two holes for eyes.Then press the tip of the egg shape with a fork to make the teeth. You can also make a triangle for a nose using your finger nail or paint it on later. Gently press any cracks that may have formed back into place and let the sugar skull dry over night. 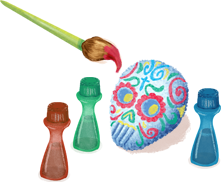 Lastly, decorate your sugar skull using liquid food coloring and a clean paintbrush. 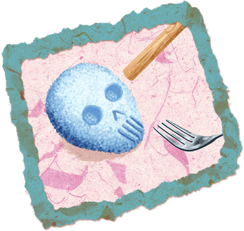 These sugar skulls are meant as decoration only and are not intended to be eaten.